Have you or your child ever needed emergency dental care? 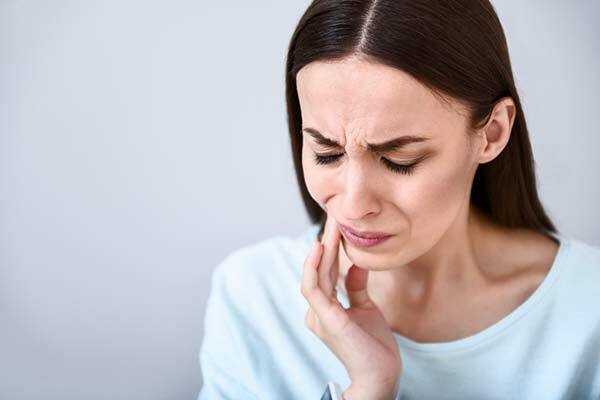 Whether itâ€™s extreme, unexplained tooth pain or a traumatic accident leaving you with a loose, broken, or missing tooth â€“ dental emergencies are never fun. In many cases, people think to go straight to an ER of a hospital when something like this happens. However, unless there is a significant trauma beyond tooth damage (for example a broken jaw), emergency room doctors are rarely equipped with the proper tools and training to effectively treat the problem. If you do attempt to go to the ER, they typically send the patient home with some medication to ease the pain and advise they see a dentist as soon as possible. Then, most family dental offices would see you patient, assess the situation, and then refer to an oral surgeon at a different office if necessary. That could total up to 3 different doctors and medical visits, the price of which can add up quickly. To save you a trip and the hassle, weâ€™ve added an oral surgeon, Dr. Park, to our staff at Murray Hill Dental. That way, if you do require emergency dental care, we have an expert on-hand to meet your needs. For emergency dental care, contact either Murray Hillâ€™s Westerville dental office, or our West Columbus dentistry location. How do I know if Iâ€™m Experiencing a Dental Emergency? Typically, the need to schedule an emergency dental appointment will arise from some type of trauma or condition. If youâ€™re experiencing anything out of the ordinary, such as intense pain in your teeth or jaw, itâ€™s best to schedule an appointment with your dentist first. Weâ€™ll then perform a routine exam to find the cause of the discomfort, and refer you to our oral surgeon only when an emergency extraction is absolutely necessary. Once that happens, youâ€™ll have a chance to sit down with the surgeon and discuss your plan of action. Everything is explained, step by step, and carefully planned to match your restoration needs. What Types of Emergency Procedures do Oral Surgeons Perform? As an Oral & Maxillofacial surgeon, or OMS/OMFS for short, Dr. Park is a specialist in a number of areas. With a degree in dental medicine, Dr. Park and oral surgeons like her combine the practice of dentistry and traditional medicine. Procedures they perform include emergency extractions, removal of damaged teeth, and other reconstructive and cosmetic surgeries. While they do perform cosmetic surgery, the focus for most oral surgeons is to restore a patientâ€™s quality of life. Beyond that, ensuring their appearance and function is back to their original states is also incredibly important. To save you a trip and the hassle, weâ€™ve added an oral surgeon to our staff at Murray Hill Dental. That way, if you do experience a dental emergency that requires surgery, we have an expert on-hand to meet your needs. Contact us today if youâ€™re experiencing a dental emergency, or if youâ€™re in need of a routine checkup. Weâ€™re always happy to meet new faces! !